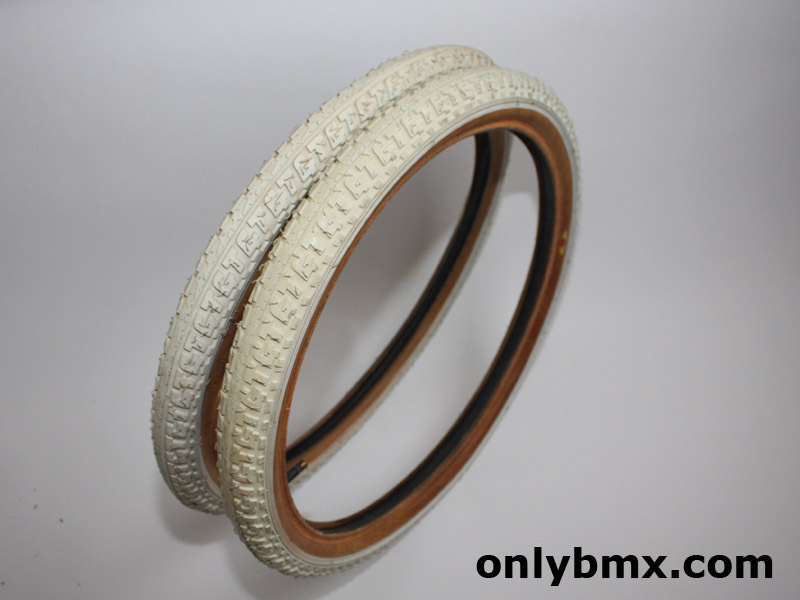 Pair of new old school BMX GT freestyle tyres. These have the GT logo incorporated into the tread. Side walls are showing a bit of age and I probably wouldn’t ride them. 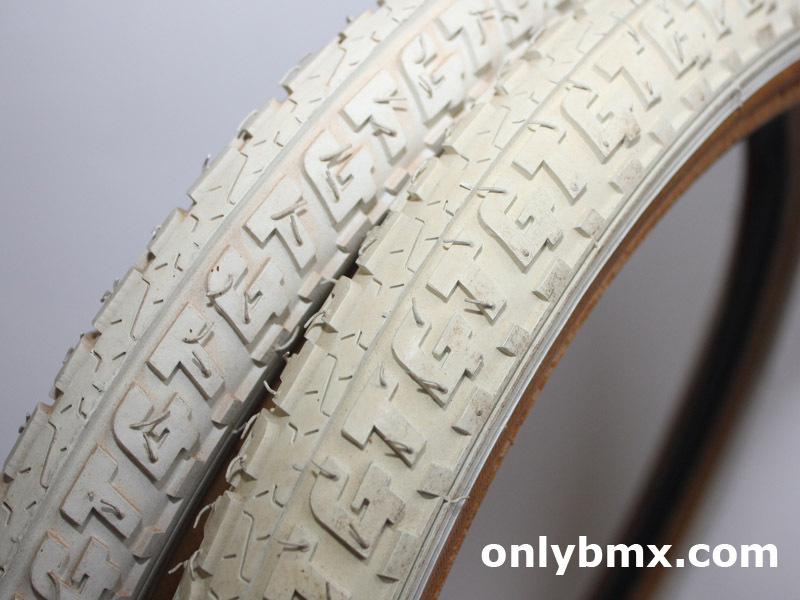 Then again, I won’t ride any old tyres as the modern ones are just better. I’ve been storing these mounted to rims and with air in the tubes so they have retained their shape well. GT BMX wing logos on the side and rubber is still very white. 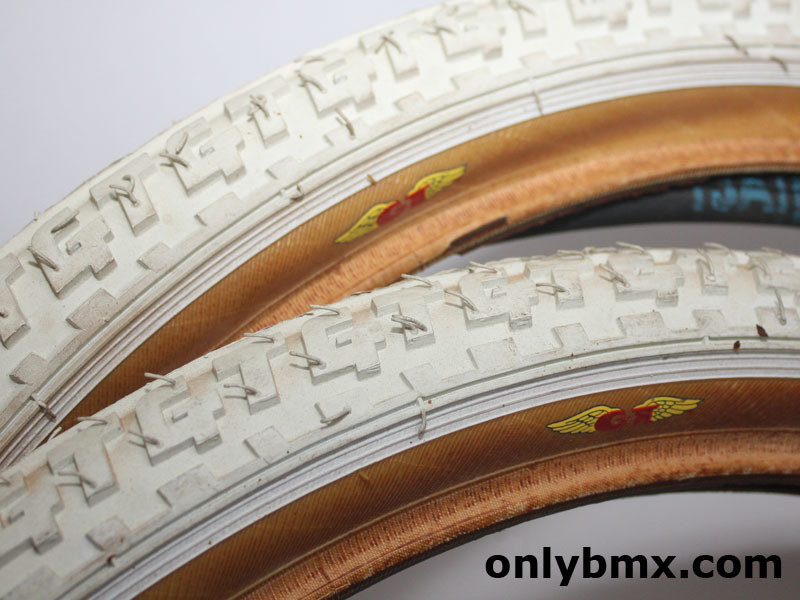 The sidewalls are showing a bit of discolouration in parts, however, nothing like some I have seen that have still gone for big money. 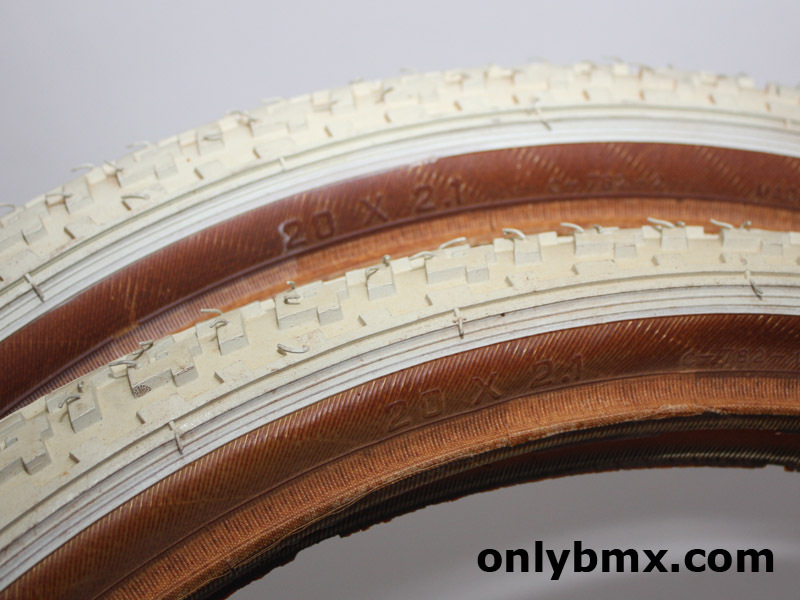 Both tyres are 20 x 2.1 size. Includes tubes. Will be shipped flat unless otherwise instructed and at the buyers risk if not flat.